HELLO LAFFLETES, far and wide, from Donald's Dreamland all the way to my hometown of Toontown Central! Welcome to ze finish line! Ze Winter Laff-o-Lympics have officially come to a spectacular finishing act. Of course, zat means ze time has come to announce ze winners of ze event, ja? A total of 2,251 Toons vill receive the Bronze prize! 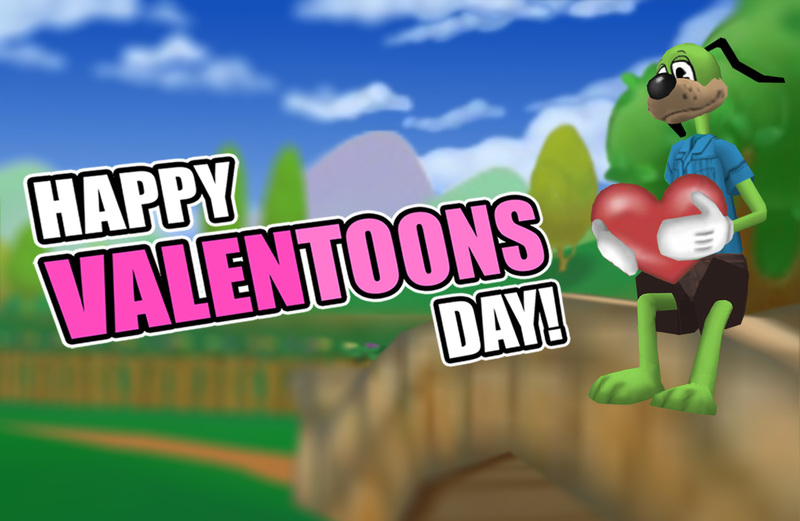 A total of 409 Toons vill receive the Silver Prize, including an exclusive SpeedChat phrase! Finally, 238 Toons vill receive the Gold Prize, which contains an exclusive Toon T.A.G.S. style! Finally, I vould like to thank all Toons who participated in ze Winter Laff-o-Lympics. Ze Cogs are getting stronger by ze day, and ve will need all the strength possible to fight back ze intruders. To all of ze Laffletes, Thank YOU for making zis' a Toontastic Winter Laff-o-Lympics! Now, there's no time to vaste, I am already behind on my training! If you need me, I vill be exercising my strength back at ze Punchline Gym. Until next time! • Adjusted "Enter Code" box in the Shtickerbook to ensure that longer codes can be entered. • Fixed an obscure grammar issue in the Bossbot Cog Suit ToonTask line. • Boarding Group confirmation prompts will no longer be stuck on the screen. • Implemented the 2019 Winter Laff-o-Lympics prizes. If you participated, your prizes will be distributed throughout the day. 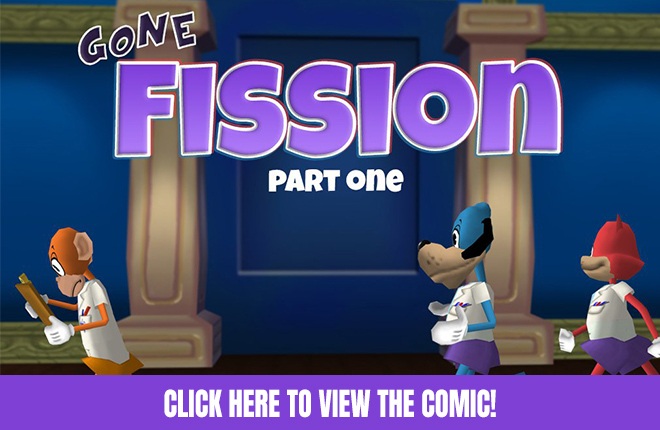 • The all-new "Frostbite" Name Tag is available to all 2019 Winter Laff-o-Lympics participants who placed in Gold! 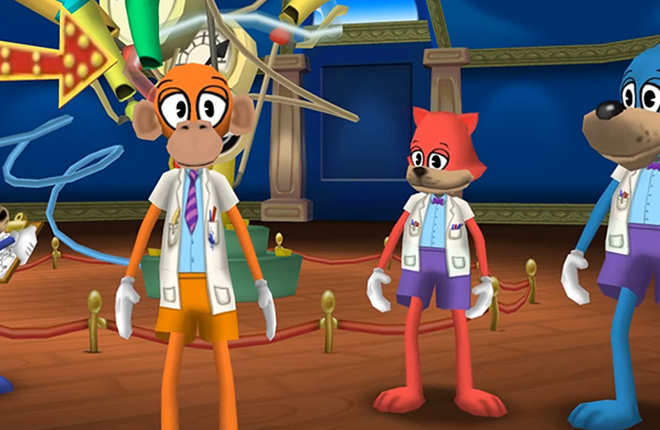 • Addressed an issue that could cause Cog Battles to momentarily freeze when a new Toon or Cog joined the battle. • Fixed a longstanding transparency issue with the Party Gate in every Playground. • Adjusted the street signs in Donald's Dreamland to use a unique purple border. • Altered various textures throughout the game to fix minor visual seams and clipping. • Attempting to purchase a new nametag will now warn you that your current one will need to be re-purchased in the Cattlelog. Congrats Team Hot Cocoa! This was such a fun event and I can't wait till next year! Good job everyone! It was a GREAT month!!! Thanks for all your wonderful work for us toons!!! Thanks for fixing things on a continuous basis. I'm able to play on my Mac with no difficulties. Thank you! I can't wait to receive my prize. I'm glad I was on Team Hot Coco. Yay! Way to go guys! This should be every month. I mean, think of it. Hi, thanks for prizes! I hit 75 but got the bronze medal t-shirt..is the silver coming also? that event was fun, and ended in so many new friendships. and the biggest jellybean fest in donalds dreamland for that matter. So... You don't choose a team.. It chooses the toon you choose, so I was actually on Hot Cocoa this whole time, after I signed up, That's Toontastic!! Congrats everyone! We sure did work hard to get each medal! Even though I won gold, I gotta say that I love there's 409 silver winners, my name is a song pun, song from the same group who performed a song by the name of 409. That gave me a smile. Congrats all, we worked hard to get this honor, doesn't matter the medal, all of them took a lot of dedication. Yeehaw! Congratulations to Team Hot Cocoa for winning! Good luck for next time Team Milk & Cookies! Congrats to the bronze medalists, fellow silver medalists, and gold medalists! It is obvious by the numbers of each medal that people's hard work paid off! Congrats Team Hot Cocoa, but next time the latter team will win for sure! I had like 35 laff points at the start of the event, but if any Toon could enter, since I have 58 now, I would have most likely won Bronze, and I would have been on Hot Cocoa. Hooray for our team! 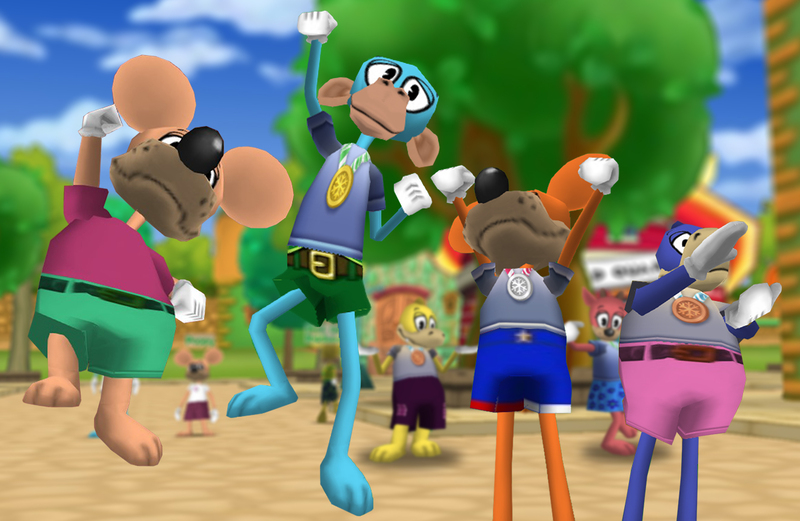 :D I had a lot of fun participating in the laff olympics, thanks for this great event, Toon Town Council! Awesome job on the shirts. I love the details and shading. Awesome event and I loved the extra prizes this year! To be honest, I kinda knew this whole time that Team Hot Cocoa was going to win. I chose Team Milk & Cookies on purpose, yet I realize that joke was unnecessary. Nevertheless, good job! I've got 120 laff in less than a month, which was crazy! I never expected that to happen. Looking forward to the next Laff-o-Lympic event. 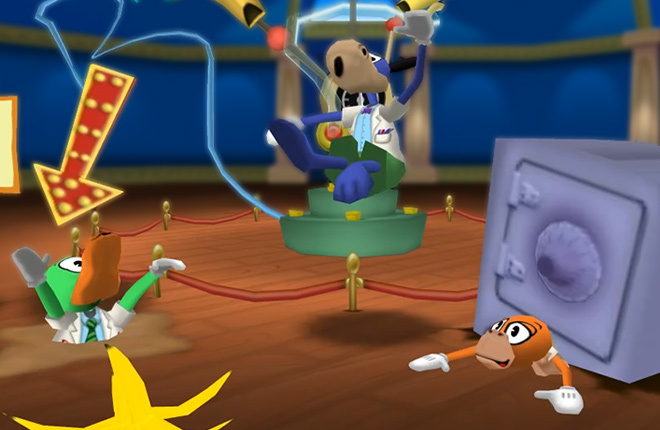 For the Next Laff-o-lympic, add the platinum medal. In order to get it, get 120 laff. I got up to 50 laff! and I can't believe our team won! Not that I doubted us or anything haha! no more battle lag? this is Toontastic! Yay! I got the bronze and the bonus for winning team on my new toon! Also, the glitch where the game freezes when someone joined mid round is fixed! wow how awesome. i didn’t make it to 50 but i am proud of everyone who did. way to go. wish i was you. Good job everyone! This 'lil lucky charm of bashing cogs left and right is proud to all! Congratulations on everyone who won! Even though I didn't participate, I wait for the next Laff-o-Lympics! Thanks TTR staff for everything! Best wishes, Tord. Sorta sad the team with bunnies didn't win, but congrats to team hot cocoa!